Posted September 23, 2016 by The Rapid & filed under News. This past April, The Rapid launched a new campaign that informs the Greater Grand Rapids region about the merits of public transportation through simple, powerful, consistent, and, most importantly, positive messages about the experience. We’re proud to announce that these stories have received national recognition. The Rapid is among the American Public Transportation Association (APTA) winners announced during the transit industry’s annual AdWheel Awards at the APTA Annual Meeting held last week in Los Angeles, CA. The awards recognize APTA member public transportation systems and business members for their outstanding marketing and communications campaigns. The marketing and communications efforts of The Rapid and other APTA members not only help to enhance communities and promote the many benefits of public transit but also improve the lives of the riding public. The specific stories that passengers shared in The Rapid video outreach campaign demonstrate to our community that everybody in the Greater Grand Rapids area wins with a strong public transportation system, whether or not they ride the bus. At The Rapid, we believe riding on our buses is about community and the ways that public transportation impacts people for the better every day. The goal of our educational campaign is to show we are stronger, more vibrant and successful when everyone has the opportunity and access they need. 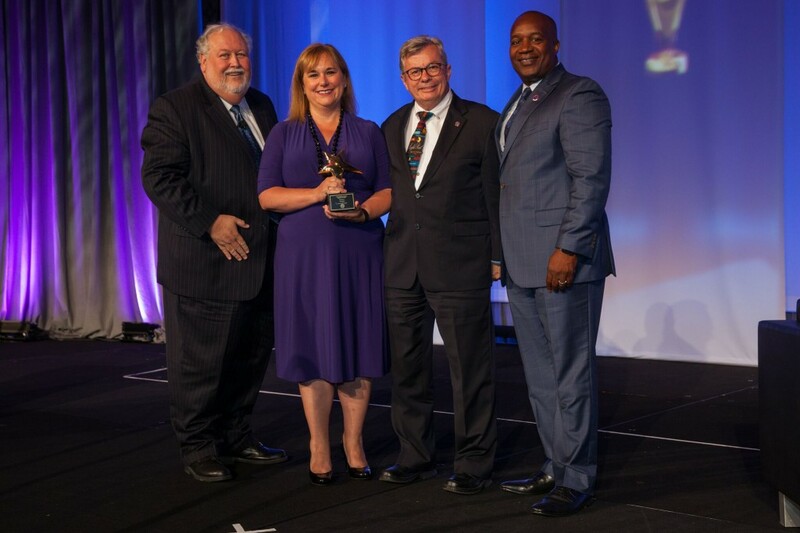 The APTA award entries were evaluated by industry experts and awards were presented in three categories: campaigns to increase ridership or sales, campaigns to highlight transit needs and funding, and educational campaigns. Honors were awarded in four groups, based on system size. APTA judges praised our campaign for successfully elevating public awareness by reaching 85 percent of the target audience 5-7 times per month. They especially lauded The Rapid for going beyond a transactional “getting from point A to point B” thinking and presenting a value proposition that transcends the traditional numbers about ridership and cost per trip. The compliments from our industry peers for The Rapid team’s work are terrific, of course. But I encourage you to not just accept the APTA judges’ verdict. Go to MoreToTheRide.org and meet your fellow community members to experience it for yourself.